Born in London of Trinidadian and English parents, New York-based vocalist, composer and lyricist Tessa Souter (soo-ter) infuses jazz with the soul and passion of flamenco,Indian and Middle Eastern music. One of the most imaginatively programmed vocal sets of recent memory," said the Los Angeles Times, in a review of her California debut at the Catalina Bar and Grill in 2002. The Philadelphia Inquirer praised her amazing" debut CD Listen Love and her"crystal- clear voice with diamond-cut phrasing." 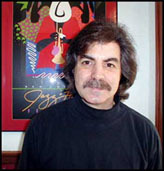 Soul jazz singer Jon Lucien said of Listen Love. Magnificent! I couldn't stop playing it over and over. She blew me away!" Her mentor Mark Murphy says of her, She is a complete musician ... extraordinary and moving." 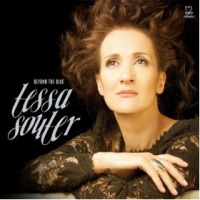 Sheila Jordan says, There aren't many, but Tessa Souter is a natural born singer. She really moves me." Jazz tuba legend Howard Johnson says she is an important musician... whose brilliant lyrics and songs make her stand out from the pack so very much, not to mention how well she sings other people's material." A late-comer to singing professionally, Tessa was encouraged in her early teens to pursue a singing career, but took a detour - becoming a mother at 16, then going to university and subsequently becoming a journalist for The Times, The Independent, Vogue, Elle and others. She was one of the original six members, along with Po Bronson and Ethan Canin, of the Writer's Grotto in San Francisco, where she lived and worked as a freelance journalist from 1992 to 1996, before moving to New York and starting to sit in on jazz jams. In 1998 she won a scholarship to New York's Manhattan School of Music, which she left to study privately with jazz vocal legend Mark Murphy. 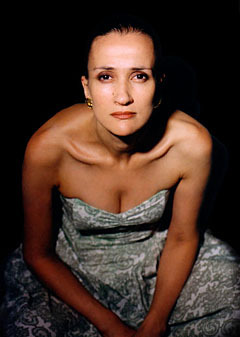 Since her professional debut in 1999 Tessa has performed with some of the world's jazz greats, including Mark Murphy, Joe La Barbera, Marvin Sewell, Latin Grammy nominee Bobby Sanabria and Howard Johnson. WNPK Radio FM says: It's hard to believe she only recently became a vocalist, because she sings with the authority and passion that usually comes from long experience." 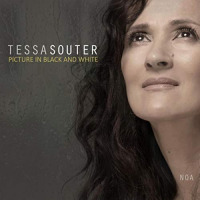 To quote Los Angeles-based guitarist Larry Koonse, Tessa Souter has all the qualities I value most in a musician: great time, beautiful phrasing, gorgeous sound, a respect for silence, an emotional connection to the moment, and a wonderful ability to tell a story. She is the 'real thing' in every way."